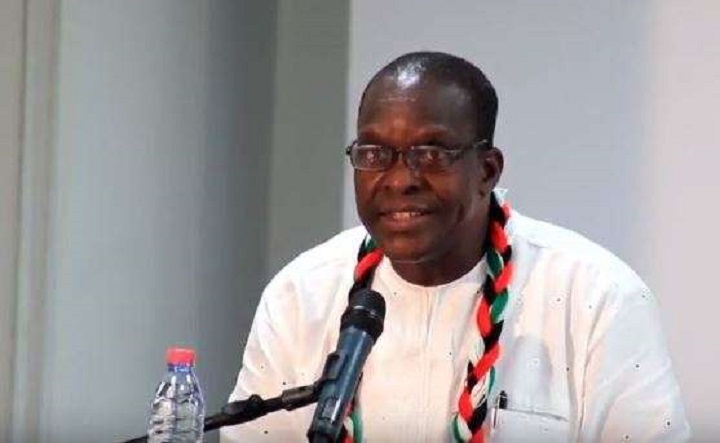 An aspiring flag bearer of the National Democratic Congress (NDC), Alban Bagbin, has rejected the nomination forms picked on his behalf by some of his supporters. “I’m not associated with this. It’s not on my authority and I disregard it,” the Second Deputy Speaker of Parliament who spoke to Otec FM’s Evening News on Tuesday December 4, 2018 after the forms were picked in his name by some of his constituents led by David Dzawara Baya. “We believe that the process that they have put in place is offending a number of our values, principles and even the provisions of our constitution…and so we have put that across and we are awaiting the response of the Council of elders,” he told OTEC News’ Opoku Nyarko. Meanwhile, former president John Mahama, Prof Joshua Alabi, Stephen Atubiga and Sylvester Mensah have also picked forms to contest the presidential primaries of the party. .A Deputy General Secretary of the NDC, Peter Boamah Otokunor, confirmed the number to OTECNEWS. This essentially means that the other flag bearer hopefuls are out of the race. Otecfmghana.com on Sunday, December 2, 2018 intercepted a common petition that has been signed by the eight aspirants and addressed to the opposition party’s National Council of Elders that among other reliefs wants a reduction in the filing and nomination fees. The petitioners are also alleging, among other things, a breach of procedure in announcing guidelines for the primaries on January 19; the imposition of unreasonable filing fees by a small group within the party’s National Executive; and bias by this same group against other flagbearer aspirants. The seven-time MP Mr. Alban Bagbin had told otec fm’s Captain Koda that, the decision taken by the party does not resonate with its own principles of social democracy adding that the amount being charged will also spawn corruption. In the Nadowli Kaleo MP’s view, the aspirants can raise that amount, but their financiers could use it as a bait to dissipate public funds in the future. “Any of us could try to mobilise that money because definitely, you can get in touch with people who have money to pay off, but I can tell you that is a wrong thing to do. That is the beginning of corruption that is just giving evidence to what people have been saying – ‘create, loot and share’. I am not going to be part of that, I can assure you”.